Progesterone therapy is the use of injectable, bio-identical hormone medications that are used to replace the missing hormones that decrease in the body as it ages. Progesterone is not primarily known as a sexual hormone. As a matter of fact, it does not control secondary sexual characteristics at all. It is a hormone that is necessary for the health of the reproductive system and has a great influence on the menstrual cycle and menopause. Before therapy can begin, a prospective patient must get the proper testing completed (a blood test, a physical exam and the sharing of a medical history). These are done in order to confirm a hormone deficiency is present and to make sure that the prospective patient is in otherwise good health. At Greenberg Health, our advisors are trained to answer all of your questions and to address all of your concerns throughout your progesterone hormone replacement therapy experience. They are also available to help you with your injections and to teach you how to make changes in your lifestyle to make it a healthier one. Just a phone call away during normal business hours, our professionals are considered to be some of the best in the industry. Our advisors work closely with our doctors in order to make your treatment journey a pleasant and successful one. A prescription to begin progesterone replacement therapy is absolutely necessary in order to partake in safe and legal treatment. This is why testing is mandatory. Not everyone will qualify for our injections. Most of the patients who prove to have a progesterone deficiency as determined by blood work can get a prescription. It is never safe to work with unqualified clinics, with companies overseas or to get injections from the online black market. You never know what you are getting when you buy injections from unknown places and in addition, you will not know what you need to make safe changes. 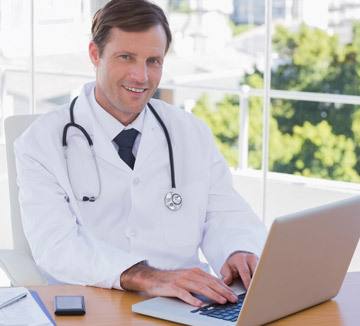 Reputable and licensed doctors take a lot of time to analyze test results, physical exam data and a medical history report. They use this information to create the most accurate treatment plan for patients. Not all patients will take the same combination of medications or the same dosages. This is why working with a clinic that understands the hormones and the endocrine system and that has a positive successful track record in working with hormone deficiencies should be used. The experts there should be understanding and compassionate as well because patients will approach them feeling down and out. Some patients call hormone replacement therapy clinics with some very severe symptoms from their hormone deficiency. They reach out feeling very vulnerable. This is a time when so called experts can take advantage of patients who are suffering. You must work with a clinic that is honest, trustworthy and upfront about how they work. The clinic should only give prescriptions to those who really need them. Otherwise, they should be able to refer the patient to another kind of specialist. Honesty and professionalism is what you will get when you work with Greenberg Health. We would never lead a patient down a path that will not bring them success and relief from their hormonal problems. Let us look at the benefits of progesterone hormone therapy according to how it helps physically, emotionally, mentally and sexually. When hormones deplete, it is usually not just one that does so. Usually, several hormones need to be replaced with bio-identical replicas of what the body naturally creates. One of the best parts of any hormone therapy including progesterone therapy is that it helps to increase one’s self esteem, self worth and self confidence. These are three very important keys to having a successful, happy and healthy life. When hormones deplete and cause the body to slow down, it will not work at optimal performance the way it used to do. Physical appearance fades and physique changes. A person feels more aches and pains and cannot do many of the activities that they used to be able to do. This can bring them down and cause depression. Progesterone therapy with the right clinic can hold these problems off by raising and balancing hormone levels so that the body believes it is in its 20’s again. Greenberg Health offers a free first consultation to find out if progesterone hormone replacement therapy may be right for you.